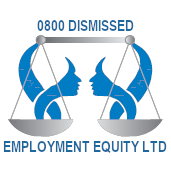 Facing unemployment, have recently got the sack or had your employment contract terminated . Have you faced discrimination, bullying in the workplace, harassed and require some assistance in protecting your employment rights? If the answer is yes we are experienced Employment Advocates based in Auckland and operate New Zealand wide can help. There are several instances where dismissal could be deemed unfair and they usually fall into the following categories: Your employer did not have a good reason for dismissing you. Your employer did not follow the correct procedure when dismissing you and/or acted unreasonably. You were dismissed for an automatically unfair reason, e.g. maternity leave. Like employment lawyers we give specialist advice on employment law.